KARACHI: The case related to the killing of six people in an arson attack in Tahir Plaza is still pending trial primarily for want of witnesses, it emerged on Thursday. Advocate Altaf Abbasi with his five clients was burnt to death at his Tahir Plaza office near the City Courts when the building, which mostly housed lawyers’ offices, was set ablaze following a spat between two groups of lawyers at the City Courts. Two accused — M. Imran, alias Imran Saeed, and Ahmed Saeed, alias Saeed Bharam —with their 13 absconding accomplices have been charged with violence, burning six people in an arson attack and terrorism within the remit of the Risala police station on April 9, 2008. Judicial and prosecution sources told Dawn that the trial had seen an inordinate delay of 11 years for different reasons. “The proceedings remained stalled for a long time and are still pending for two reasons,” Advocate Jawad Awan, a prosecutor representing the Rangers in the case, told Dawn after attending the latest hearing before the antiterrorism court-X on April 9. Initially, the police had detained two suspects — Syed Nadeem Hasan Zaidi and Wamiq Atiq Siddiqui — said to be political activists, who had allegedly confessed to their involvement in the case. However, they were released under Section 169 (release of accused when evidence deficient) of the Criminal Procedure Code in Sept 2011, as the investigating officer submitted a report before an antiterrorism court recommending their release as two eyewitnesses failed to identify them during an identification parade conducted by a judicial magistrate. Similarly, the third suspect, Abdul Qadir, who was arrested in April 2014, was also freed, as an eyewitness had also failed to identify him during an identification parade. However, the investigators claimed a breakthrough in the investigation after two accused persons — M. Imran and Ahmed Saeed — during interrogation in connection with other cases, also confessed to their involvement in the Tahir Plaza arson attack. IO Inspector Chaudhry Mohammad Arshad, in a supplementary charge sheet filed on June 6, 2008, said that accused Imran was detained by the Garden police in a case pertaining to possession of explosives in 2016. He disclosed before a joint investigation team (JIT) that the Muttahida Qaumi Movement-Altaf’s leader Hammad Siddiqui and activist Saeed Bharam had tasked him and 12 others to “teach a lesson” to the lawyers, who were protesting for the restoration of then deposed chief justice Iftikhar Mohammad Chaudhry, it added. Accused Imran had also named others, including Rizwan, alias Mota, Nawab Dhobi, Mubashir Naqvi, Ayaz, alias Major, Asim, alias Ganja, Abbas, alias Abbasi, Saleem, alias Golden, Shahzad Qadri, Wajid, Shehroz, alias Bablu, Faisal, alias Mama, Raju and others as co-accused. The charge sheet further said that accused Saeed Ahmed, who was arrested by the Nabi Bakhsh police in a murder case in 2009, also disclosed before a JIT in the Karachi central prison that he belonged to the MQM-A and used to work and raise funds for the party. He also confessed to his involvement in the Tahir Plaza case. The IO also mentioned in the interim charge sheet that accused Imran Saeed also allegedly confessed that he with other MQM-A workers reached Tahir Plaza at 6pm, scared the people by firing into the air and climbed up to the sixth floor, where they threw some chemical that caused a fire in the offices of advocates Altaf Jaffery, Naeem Qureshi and others that burnt the lawyer and others. He said that both the detained accused had also recorded their confessional statements before a judicial magistrate while eyewitnesses had also identified them during the identification parade conducted by the judicial magistrate concerned. The prosecution sources said both the detained accused had been indicted in the present case, which was now at the stage of recording evidence, but key witnesses were not coming forward to testify against them before court. 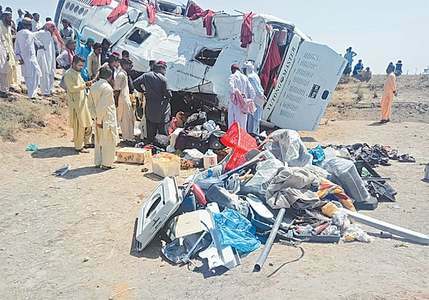 The judicial officials told Dawn that the prosecution had listed 49 witnesses in the case, of whom 15 had recorded their statements before the court. They said the testimonies of the remaining 34 prosecution witnesses, including 10 lawyers, four doctors and police officials, were yet to be recorded. Prosecutor Awan blamed the lawyers for the delays in the matter in one way or another. Around 10 lawyers, who are witnesses to the incident, have been deliberately avoiding appearing before the judge to record their statements in the case despite issuance of repeated notices by the IO since June 2018, he said. 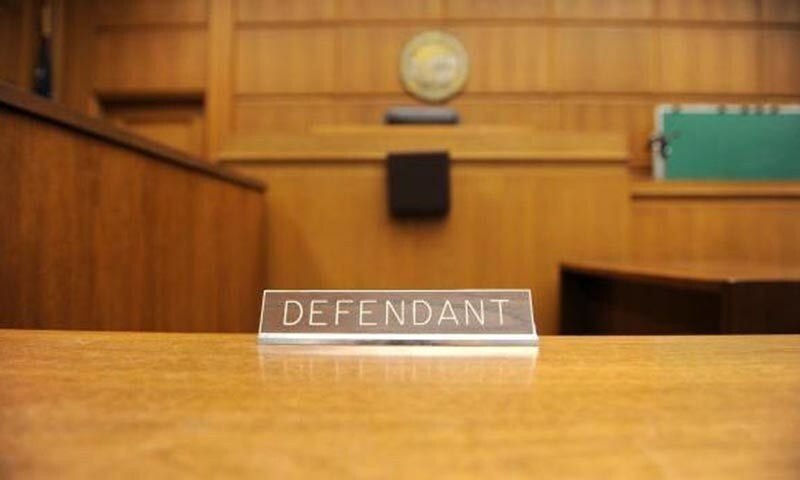 At times the defence counsel appearing for the accused persons do not appear on a date when the witness is produced before court for recording his statement, the prosecutor added. Karachi Bar Association president Naeem Qureshi told Dawn that no notice, either from the IO or the antiterrorism court, calling him for recording his statement had ever been received by him. 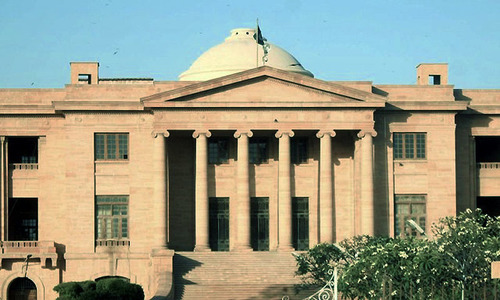 Mr Qureshi, who himself is listed among the witnesses, said if the accused had been detained and they had confessed to their crime, as claimed by the prosecutor and the IO, he and other lawyers would definitely turn up to testify before the court so that the accused could be punished according to the law. However, he said the investigators had never arrested 12 accused persons, whom the legal fraternity had nominated for their alleged involvement in acts of arson and violent riots on May 12, 2007.